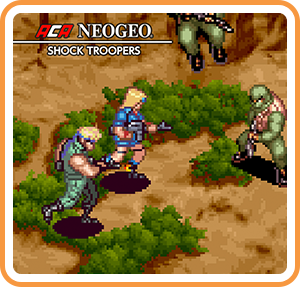 “SHOCK TROOPERS ”, the fan favorite 2D top-down view action shooting game released exclusively on NEOGEO MVS in 1997, returns to the battlefield on Steam! Progress through the battlefield, choosing the best routes and strategy! Where can I buy ACA NEOGEO SHOCK TROOPERS physical/digital?